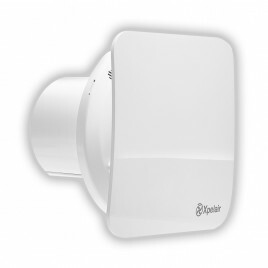 The Simply Silent™ Contour CV range has been designed to offer exceptionally low noise levels, while delivering a constant volume of extracted air to eliminate humidity, condensation and mould growth in bathrooms, shower rooms, cloakrooms, toilets and kitchens. These fans feature Xpelair’s Intelligent Adaptiflow™ Sensing to deliver constant volume performance through a unique sensor housed within the duct. This sensor calculates and records the airflow of the fan and adapts the fan speed intuitively in accordance with changes in airflow to maintain the required setting.